Tuesday marks the one-month anniversary since BART opened its newest station, and the rider reviews appear to be mostly positive. Bob Redell reports. Tuesday marks the one-month anniversary since BART opened its newest station, and the rider reviews appear to be mostly positive. Ridership at the Warm Springs Station in Fremont is not up to BART's liking just yet, but commuters living in the area noted that the new transportation option reduces their stress and helps them save time. "I can actually finish breakfast with my family in the morning and just kind of have a little bit nicer morning," Jason Mustard said. Fellow rider Chris Metoyer also noted that his stress levels have been "drastically reduced" thanks to time being shaved off his previous commute. Metoyer also appreciates the aesthetic features that the station offers. "It's a lot nicer station, too," he said. During the station's first month in existence, BART recorded roughly 2,400 exits on the average weekday, meaning that roughly 2,400 BART riders exited the gates at the station. That number is below expectations, according to the transportation agency. 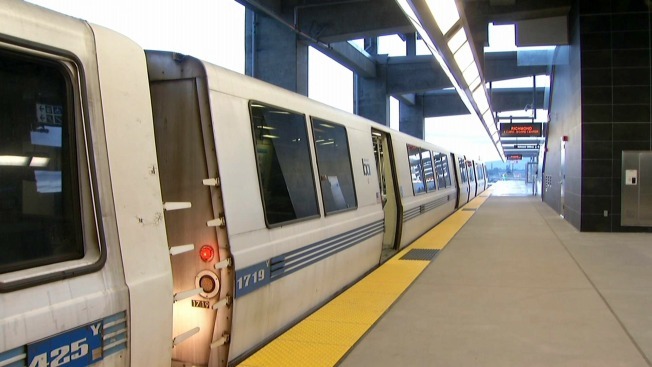 BART hopes to increase ridership to roughly 4,700 daily riders as soon as possible. For comparisons sake, BART's Fremont Station — the next closest station — recorded roughly 9,000 exits each day, according to data from last year. The Embarcadero Station in San Francisco tallied 48,000 daily exits. The Warm Springs Station won't be the newest BART station for long. Later this year, two stations are expected to open in Milpitas and San Jose's Berryessa neighborhood.